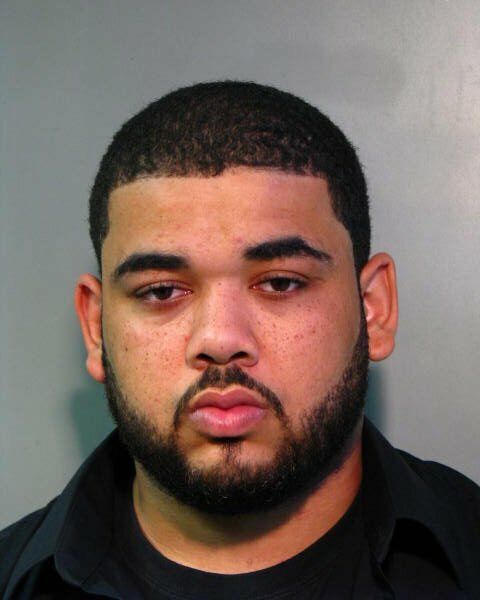 Major Case Bureau detectives report the arrest of a Hempstead man for an incident that occurred on Saturday, August 29, 2015 at 12:02 am in Roosevelt. Roosevelt, NY - October 1, 2015 - Major Case Bureau detectives report the arrest of a Hempstead man for an incident that occurred on Saturday, August 29, 2015 at 12:02 am in Roosevelt. According to detectives, Jason Ambrose, 22, while on Grenada Avenue at Nassau Road withdrew a handgun and fired a shot at a 19 year old Roosevelt man whom he had prior disputes with. The gunshot missed the intended victim and was found to have struck and occupied home on Nassau Road. Ambrose then fled the scene where no injuries were reported. A subsequent investigation by detectives led them to Ambrose who was located and placed under arrest on 09/30/2015 without incident. He is charged with Attempted Murder 2nd Degree, Attempted Assault 1st Degree, Criminal Possession of a Weapon 2nd Degree, Criminal Possession of a Firearm, Criminal Use of a Firearm 1st Degree, Criminal Use of a Firearm 2nd Degree and Reckless Endangerment 1st Degree. He will be arraigned in First District Court, Hempstead on 10/01/2015. Subject: LongIsland.com - Your Name sent you Article details of "NCPD: Hempstead Man Arrested For Attempted Murder"